The glazed tile produced by this kind of tile forming machine looks beautiful, elegant and noble. They can be used in garden-style factories, traveling scenic spots, hotels, exhibition centers, villas, civil construction and more. 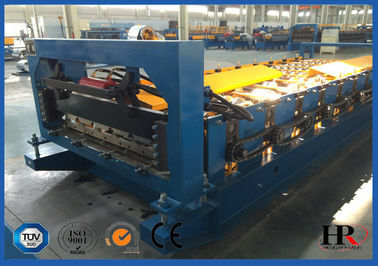 This kind of tile forming machine consists of a manual decoiler, feeding platform, main molding core, shearing mechanism, hydraulic station, computer control cabinet, step-pressed mechanism, high precision counter and driven system protective covering panel supporting table. Decoiling-active feeding - Roll forming--Step press -Measuring length-cutting to length-product to stand. The tile forming machine should be placed on an even cement floor and lifted by a lifting device with a lifting capacity not less than five tons. It requires space for storing materials and laying the machine and room to operate the machine. 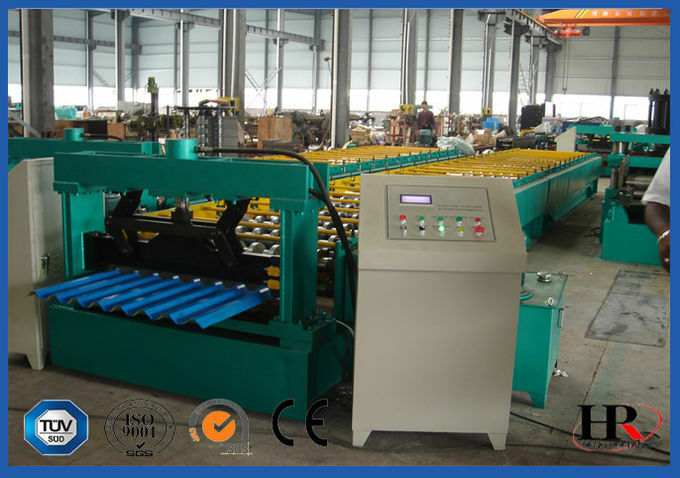 In addition, this roll forming machine requires one operator and one porter. The temperature in the workspace should be no less than -14℃.